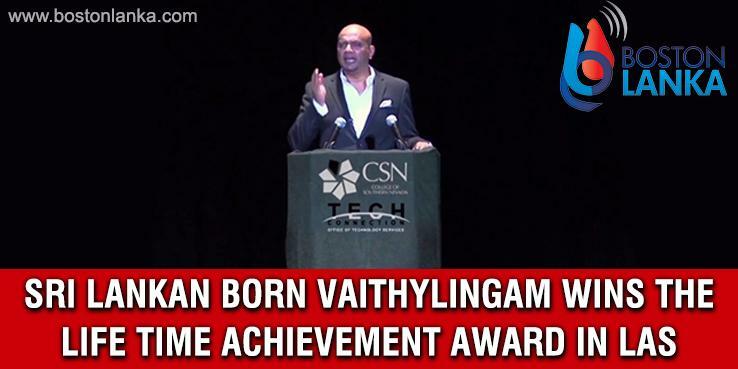 Mugunth Vaithylingam has been the recipient of the Life Time Achievement award at the eighth annual Las Vegas Top Tech Exec Awards held recently. Raised in Sri Lanka and India, and a Southern Nevada resident for the past decade, Mugunth Vaithylingam said it all started with high-fidelity sound equipment. The eighth annual Las Vegas Top Tech Exec Awards, a collaboration between Cox Business and VEGAS INC, recognize Southern Nevadans who are helping shape the future before our very eyes. These are people who are often on call 24-7, asked to solve problems that may never have happened before in a rapidly evolving industry. With previous experience as a systems analyst and later a manager in the application department with the University of Hartford, and as director of enterprise applications at Valencia College, Vaithylingam — a 2017 participant in Harvard University’s Emerging Leaders program — originally joined College of Southern Nevada as chief technology officer in February 2009 and was promoted to chief information officer just seven months later. The recipient of the Most Influential Global CIO Award at the Global CIO Leadership Summit in August 2018, Vaithylingam developed and led implementation at CSN for a new web presence that includes public-facing, marketing-driven content; an internal site that separates college community content from external persons seeking information about the institution; and a single sign-on portal for easy access to commonly-used web-based applications and platforms. He also spearheaded a partnership with Cox Communications for SIP trunking, with 150 trunks implemented — burstable to 300 — that will provide CSN with additional standard capacity and result in a savings of nearly $3,500 a month in recurring service fees over the prior POTS. Vaithylingam — who supports Nevada Youth Network, Three Square and Opportunity Village — said 2019 will bring new technology-driven student unions with the tools to help students success. CSN is also partnering with the City of Las Vegas to integrate the collage into its Smart City initiative.